New venues put the spotlight on wares from local artists. 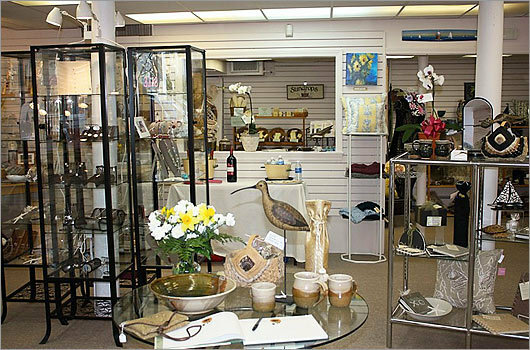 “Shop local” takes on new meaning in this Hingham store, where every item is handmade by a South Shore artist: sterling and beaded jewelry, sand and sea-colored pottery, baskets, paper, textiles, and fine art. And if you spot something that’s “almost” what you want, many artisans will create custom items.